WaterbedOutlet.com - Free Shipping on all waterbed mattresses, sheets and softside waterbeds. Enter your email address below to join our mailing list! Lowest cost waterbed mattress, sheets and waterbed heaters at the lowest prices anywhere. 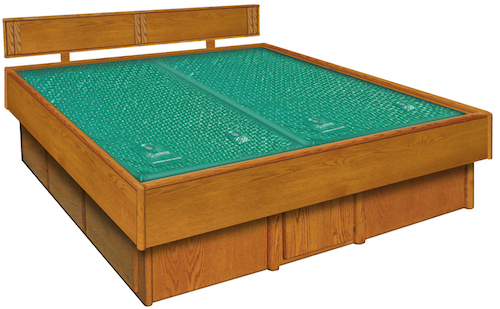 Replacement waterbed mattresses for your wood frame waterbed. Best source for high-quality waterbed sheets. Analog and Digital Waterbed Heaters now on sale. 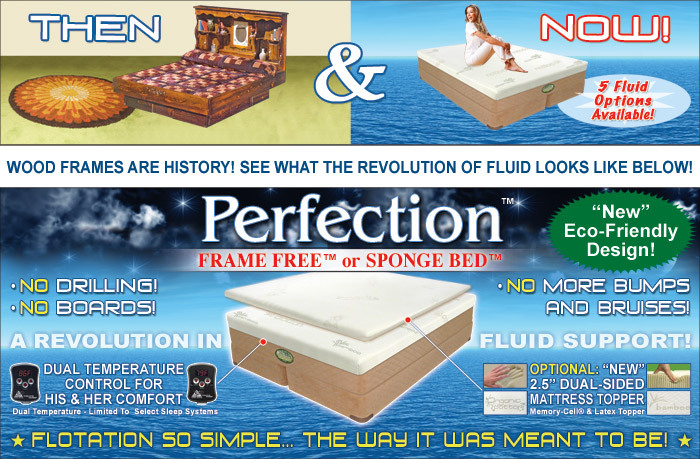 Soft side waterbeds combine the ultimate in comfort with the latest in technology. Mattress Pads are an essential component of your waterbed setup. Low prices on our incredible selection. Padded rails add a stylish touch to your waterbed. Choose one of our many styles and color options. Zippered Waterbed mattress covers enclose your waterbed mattress for added comfort and support. Several styles to choose from. Replacement Soft Side Waterbed mattresses, replacement tubes and liners for your existing softside waterbed. Beautiful Collection of Oak Wood Frame Waterbeds Now Available!